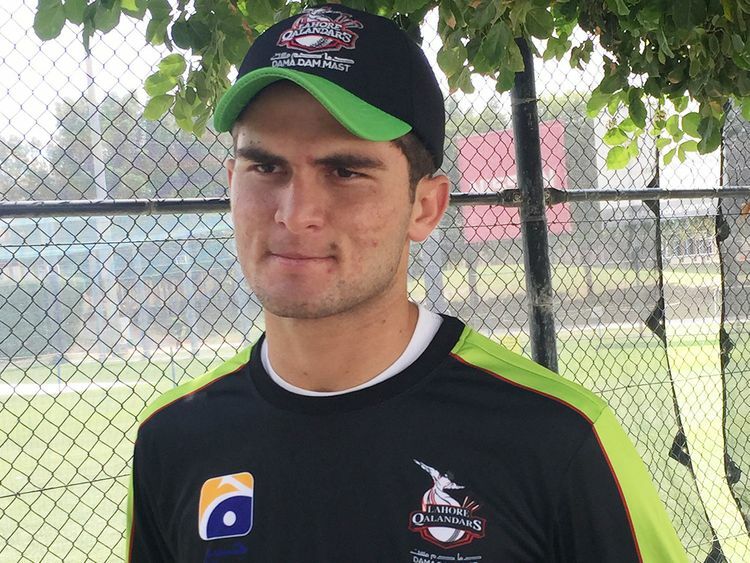 Dubai: Shaheen Afridi, Pakistan‘s rising pacer who has taken giant strides in his career over the past year, wants to excel for Lahore Qalandars team under the watchful eyes of their coach Aaqib Javed in the upcoming edition of Pakistan Super League (PSL). Soft-spoken with a shy smile, the strapping Afridi transforms himself into a destructive pacer when given a ball and has made even the best of batsmen struggle against him in his brief international career. He is now known as the ‘Mitchell Starc of Pakistan’ and seems to be enjoying this new tag. So fierce is Afridi’s sense of commitment that it was revealed he once offered to return all the money Qalandars management invested on him as he felt he did not perform to expectations. In the last edition of the PSL, Afridi bowled Shahid Afridi — who played for Karachi Kings. Afridi, who considers Shahid as his hero, refrained from celebrating on getting his wicket as a sign of respect to the legend.